Given that there are so, so many submissions to Valve's Steam Greenlight crowdsourcing approval system, it stands to reason that there will be some pretty goofy entries. And what do you know, that's totally the case! It's hard enough to keep tabs on all the new games on Greenlight, let alone keep up with all the questionable, funny games on Greenlight. 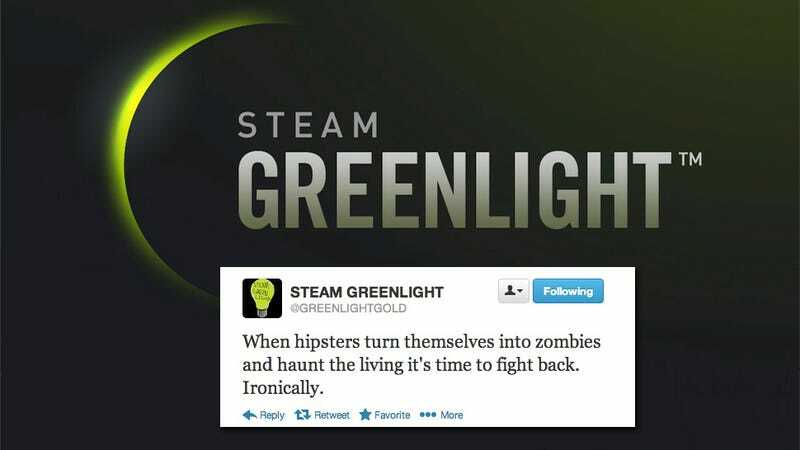 Thankfully, the Twitter feed @GREENLIGHTGOLD has taken up the gauntlet. According to their mission statement, they share only "Completely unedited steam greenlight (main and concept) descriptions," as well as the occasional user comment.